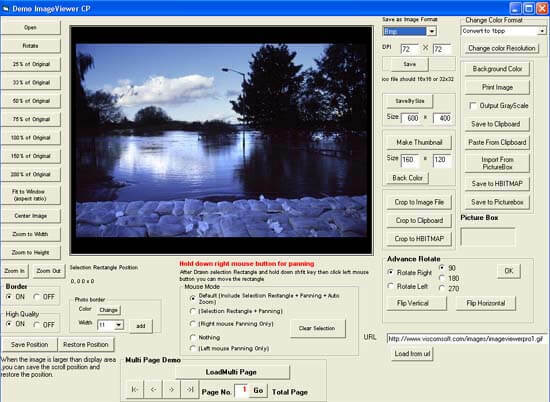 need add-ons OCR Module Optical Character Recognition to Searchable PDF/A - OCR PDF, BMP, GIF, ICO, JPEG, JPEG 2000, PCX, PNG, PSD, TIF, WMF, WBMP, TGA, PGX, RAS, PNM to searchable single or multi-page PDF/A file. need add-ons OCR Module Perform OCR processes an entire page or only specific areas in a page and allow select fast, normal, excellent Recognition mode and allow select the character set and language dictionary (English, German, Fraktur, Italian, Dutch, Portuguese,Spanish). need add-ons OCR Module Support convert Multi-page TIFF image to memory text or text file. need add-ons OCR Module Retrieve Recognized character location and confidence. need add-ons OCR Module Support character filter for recognize only digits, only upper case, lower case character or specific character. added support Pre-processing Searchable PDF (For these feature, you need purchased OCR plugin). In past you call OCR2SearchableMultipagePDF, it will directly output searchable PDF file, you have not chance to add , delete or edit the recognized text. Now it added OCR2SearchableTextFile and OCRTextFile2SearchablePDF methods, let you output searchable PDF text file. you have chance change the text before output searchable PDF.You may let the text of Searchable PDF file more accuracy or add hidden text on searchable PDF file. added AutoZoom and DrawSelectionRect methods, now you may call DrawSelectionRect, then call AutoZoom, It will auto zoom selection rectangle area. added vb6, vb.net 2010, c#2010 , VFP Pre-processing Searchable PDF samples. added vb.net 2010 OCR, OCR to Searchable PDF samples. added RotateAt, BlankPageIsBlank, BlankPageGetConfidence methods. added support MNG, JNG, Raw image (cr2, nef , crw, mrw, raf, erf, 3fr, dcr, raw, dng, pef, x3f, arw, sr2, mef, prf) image format. fixed some TIFF crash issue.